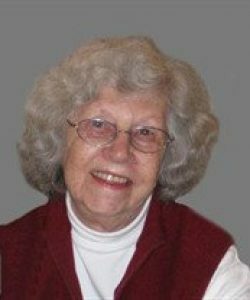 Ila (Sundin) Kane, 88, passed away peacefully on Monday, January 14, 2019 at St. Vincent Hospital in Worcester. Born in Gardner on February 14, 1930, Ila was the daughter of Erland and Ellen (Erickson) Sundin. Ila graduated from Templeton High School in 1948. 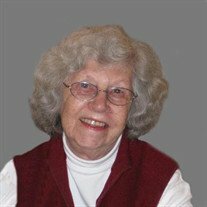 She worked as an administrative assistant before marrying and moving to Rutland in 1958 at which time she became a full-time wife and mother. Her husband of 47 years, John F. Kane died in 2005. She will be lovingly remembered and missed by her daughter, Patricia K. Hicks and her husband, Andrew of Holden; two sons, James J. Kane and his wife Lynn of West Springfield and Thomas M. Kane and his wife, Joan of Carlisle; four grandchildren, Kathryn, Michael and Skye Kane, and Megan Hicks; a great granddaughter, Olivia Roit; several nephews and nieces; and a brother, Earl Sundin of Templeton. Besides her husband, Ila is predeceased by her daughter, Mary-Ellen Dingley, a brother, Carl Sundin and a sister, Ruth Stevens. Ila was proud of her children and their many accomplishments. She looked forward to spending time with her grandchildren and daytrips to the casino. 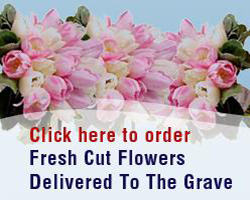 Ila will be remembered for her kind and gentle nature. Relatives and friends are invited to visit with Ila’s family from 11 am to 12 pm on Friday, January 18, at Miles Funeral Home, 1158 Main St., Holden, followed by a funeral service honoring her life at 12 noon. 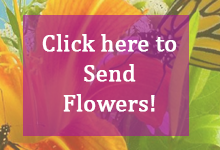 In lieu of flowers, memorial donations may be made to Elder Services of Worcester Area, Inc. (Nutrition Program), 67 Millbrook St., Suite 100, Worcester, MA 01606.